But at their finest, many of the fuller scaled Pinot noirs came across as plush and impeccably balanced, lively with acidity, and pungent with as much varietal perfume as non-fruit (i.e. earth related) nuances. 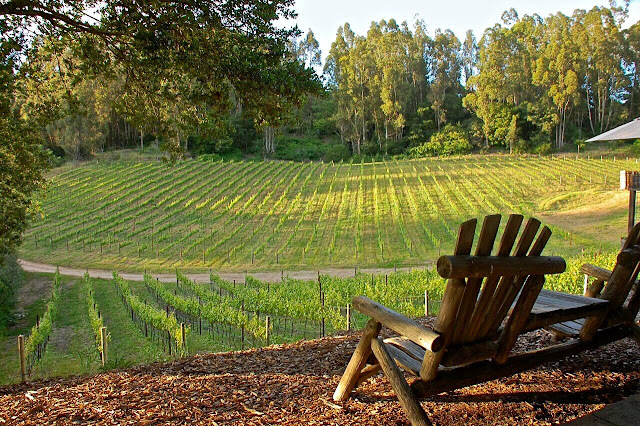 The best of them took me back to the vineyards themselves, almost as if I were standing in among the rows and surrounding terrain, rather than in a room with a glass, rubbing elbows with the usual WOPN haut monde. Now that’s what I call Pinot noir, or at least American style Pinot noir, combining body and intensity with some tangible semblance of terroir related identity, and showing a maturation of viticulture and winemaking mastery that, just 30 or 40 years ago, even the most positive thinkers thought the industry would take another hundred years to achieve (I remember because I was there). As documented by IMHP comments in past post-WOPN reports, my beef has always been that it’s impossible, and therefore unconscionable, to “rate” well made Pinot noirs. Yes, artistry and skill can be scored or ranked to some extent. 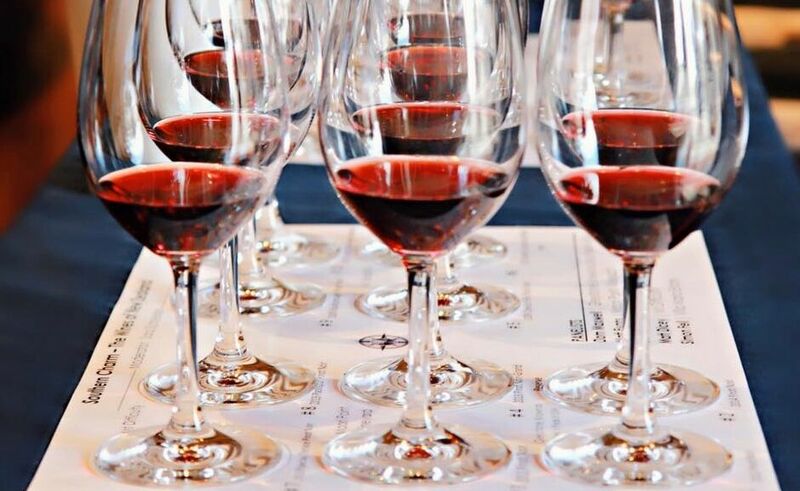 That’s the fun, human element of a wine category like American Pinot noir – we love our favored brands, and can grow to practically idolize talented winemakers – although even that practice ultimately comes down to personal preference, like Stones vs. Beatles or Picasso vs. Matisse (in other words, meaningless). 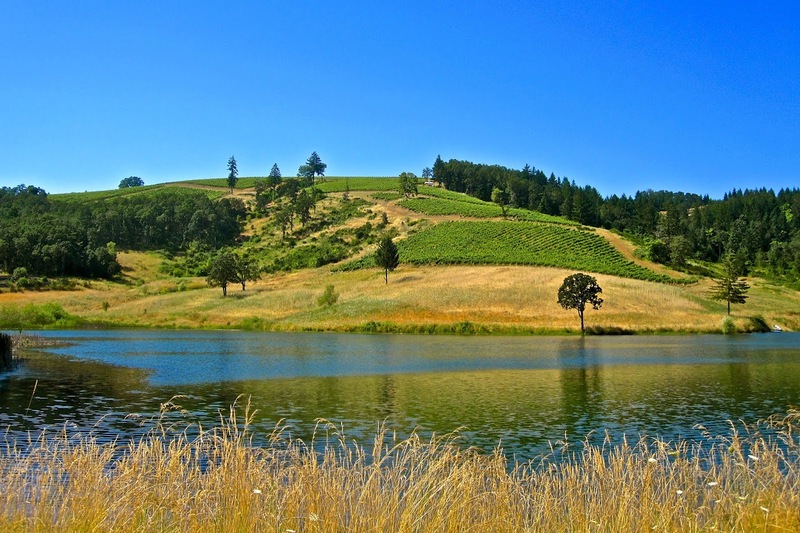 But what can’t be compared are largely Nature determined factors, like Musigny vs. Chambertin, Dundee Hills vs. McMinnville, Green Valley of Russian River Valley vs. Russian River Valley’s classic Middle Reach “neighborhood,” or Santa MariaValley’s Presqu’ile Vineyard vs. Santa Maria Valley’s Bien Nacido Vineyard. I simply can’t because I have different expectations of Pinot noirs from each place. 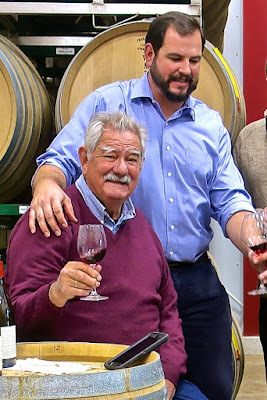 Pinot noirs of genuinely interesting provenance are supposed to be as different from each other as Fat and Skinny, Goofus and Gallant, and yes, the Stones/Beatles and Musigny/Chambertin analogies. 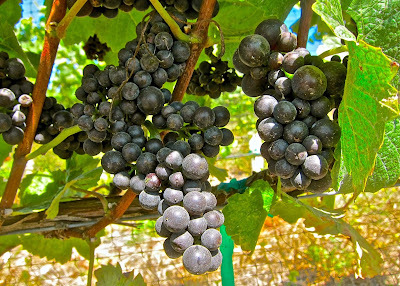 There are no ideal definitions of Pinot noir fruit, “balance,” ABV, TA or pH, tannin or color. Objectivity is delusional. 1. Remark on the source of their wines, and how they define the sensory qualities unique to each vineyard or appellation. 3. 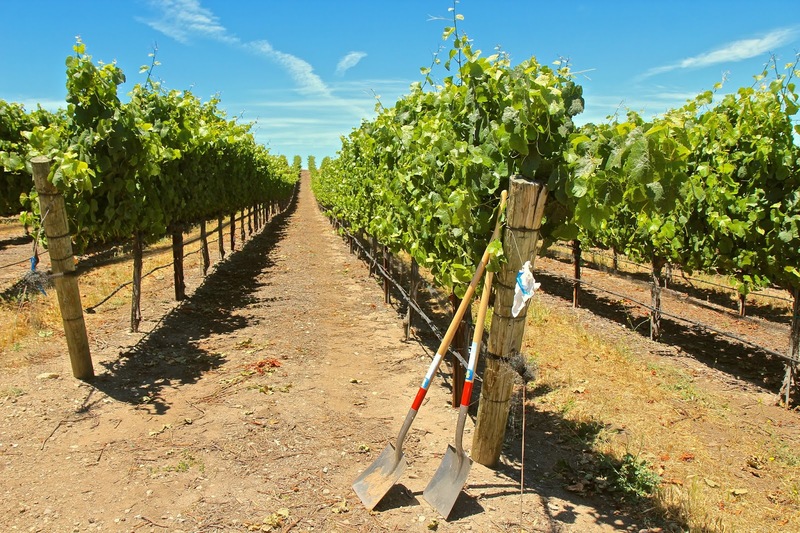 Share some thoughts or philosophy on how they achieve their goals while addressing concerns (such as alcohol or fruit ripeness) that are still hot topics of discussion among the trade, media and consumers. 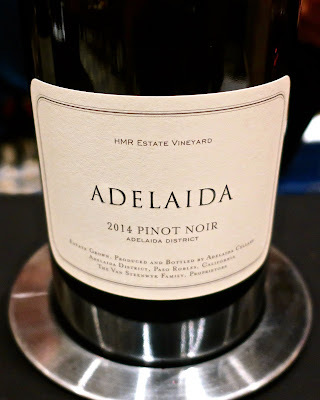 2016 Adelaida Vineyards, HMR Vineyard, Adelaida District-Paso Robles – Right or wrong, I’ll fess up to a predisposition towards this vineyard. 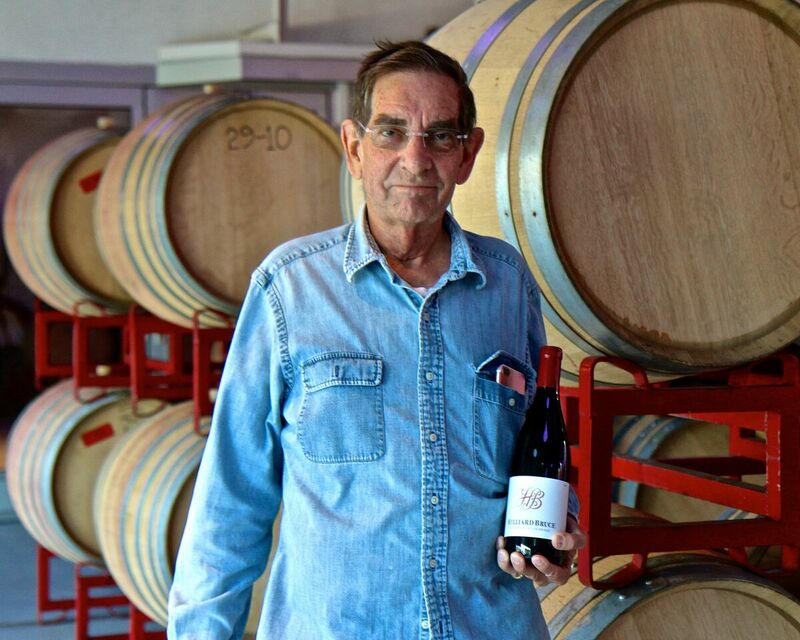 I recently, for instance, enjoyed a 20-year-old bottling of HMR Pinot that was in pure and pristine shape, attesting to the integrity of the fruit from this vineyard, originally planted in 1964 by Dr. Stanley Hoffmann (founder of Hoffman Mountain Ranch) with the guidance of André Tchelistcheff. The mid-‘70s HMRs were among the American grown Pinot noirs (along with Chalone, Sanford & Benedict, Carneros Creek, Eyrie or Knudsen Erath) we’d occasionally put into blind tastings with Burgundies (often including at least one by Domaine de la Romanée-Conti, which were affordable luxuries back in the late ‘70s). We did wrong things to learn the right things. The 2016 lives up to the vineyard’s heritage with its pretty, finely chiseled, flowery perfume, and fine, silky, zesty length – the site’s kitchen spice/cherry pie/rosehip-tea-like character coming across with delicacy and an almost ineffable intricacy (it’s “there,” even if not seemingly there) on the palate. 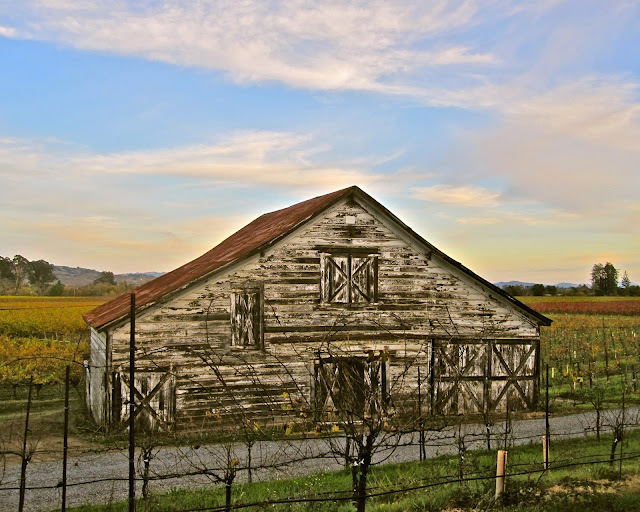 2016 Balletto Vineyards, 18 Barrel, Sonoma Coast – While Sebastopol Hills – the southernmost corner of Russian River River Valley closest to the wind, fog and cold air coursing through from Bodega Bay and the Petaluma Gap – is not a recognized AVA, it is the most distinctive (IMHO) of the Russian River Valley’s so-called “five neighborhoods” in terms of terroir/sensory dynamics. 18 Barrel is a 100% Sebastopol Hills selection blended on the basis of these dynamics as much as pure quality: ultra-bright cherry/licorice perfume, zingy, ringing qualities on the palate, and a woodsy sensation (to me, something of a mix of redwood and Madrone) blowing through the nose and all the way into the finish, like breath of cool California coastal air. 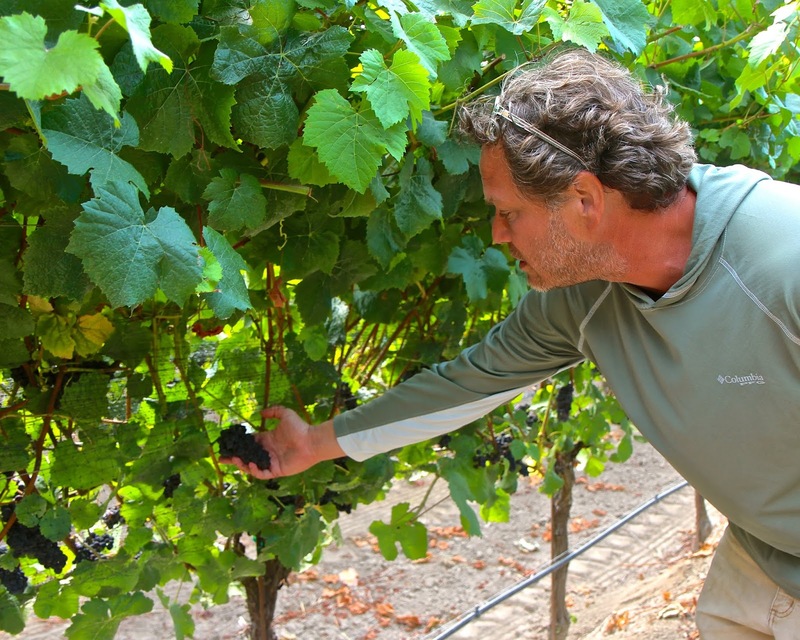 Maximization of this profile, of course, starts with farming (“we can write a book about this,” says Beckman) and extends to conscious decisions to pick multiple times, from 22.5° to 24° Brix (Beckman considers anything higher than 25° to be “a mistake for these vineyards”). This precludes the need to add tartaric acid and is much more conducive to the 100% native yeast protocols Beckman established more than ten years ago. 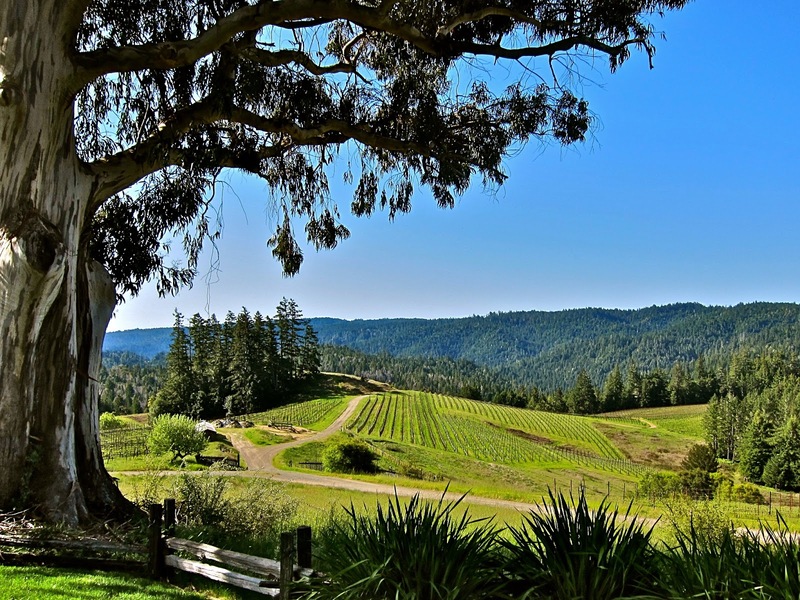 2016 Big Basin Vineyards, Alfaro Family Vineyard, Santa Cruz Mountains – Red cherry laced with sweet herb (wild mint/pennyroyal) fragrances, with the faintest ocean air brininess lingering in the backdrop; tart edged, somewhat lean and wiry, yet very fresh and palate ringing in its light (13.3% alcohol), laser sharp yet ultimately gentle (verging on delicacy), effusively fruited feel. 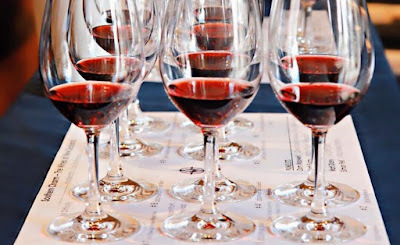 For Brown, the ability to do 100% whole cluster (minus nutrients and even sulfur, which is added only post-ML in the barrel) is also advantageous to achieving transparency; and accordingly, barrel choices (about 25% new) is relegated to coopers employing “long, gentle, light toasts,” which also helps to “amplify site.” Working with vineyards so close to the cooling fog influences of the ocean also allows Brown to “pick when we see the physiological ripeness... this results in wines that always finish under 14%, and often 13% alcohol.” Brown also says that he could “choose to pick at riper levels that produce 14.5% wines,” but he has a Burgundy influenced “ethos” – and clearly, this is working just fine for followers of Big Basin Vineyards who have developed a taste for leaner, higher acid styles of Pinot noir. 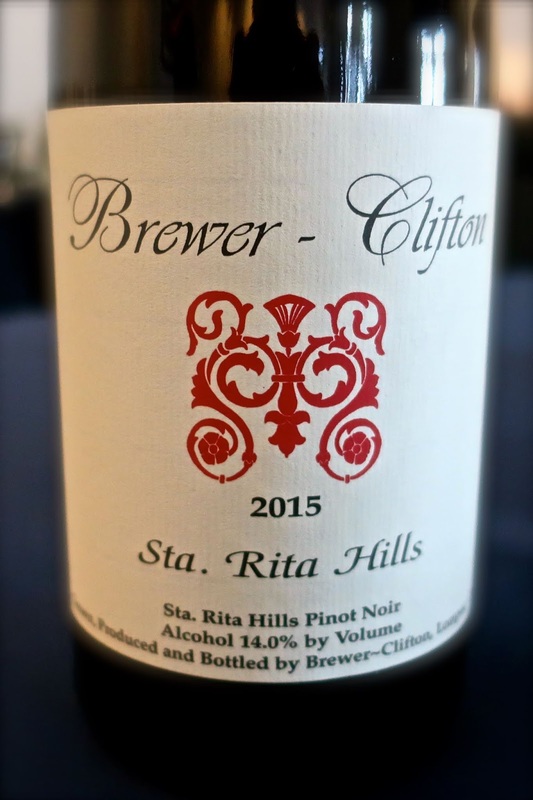 2015 Brewer-Clifton, Sta. 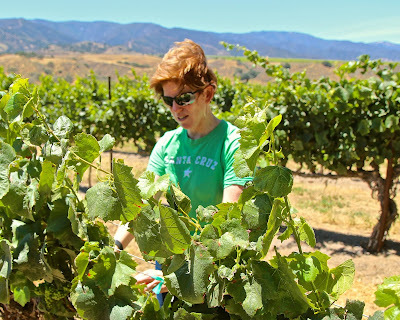 Rita Hills – Not to minimize the three decades of experience and meticulous work going into their estate grown wine, but in recent years this winery has made the crafting of world class Pinot noir look almost easy. An electric-bright and extravagant nose of strawberry purée with whiffs of wintergreen and pine is solidified by a seriously firm and sharply etched palate-feel, the tannin/acid structure coming across like steel girders, giving a savory sense of concentration to the vivid, high toned and precision-cut fruit. 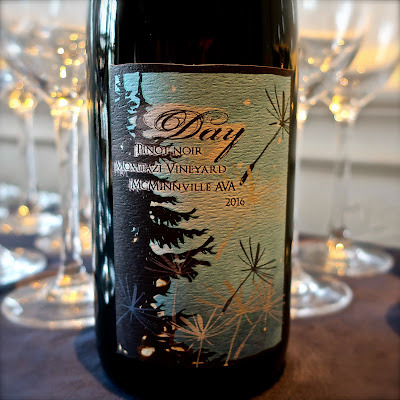 2016 Day Wines, Momtazi Vineyard, McMinnville-Willamette Valley – There was a larger than usual contingent of Oregon wineries at 2019 WOPN; and for me, this bottling stood out among the numerous outstanding Oregonians for its star-bright bluish dark red color and intense, compact, black cherry/sweet woodsy (bark and needles) nose with a sense of immensity and concentration, notwithstanding a zesty/edgy, compact and focused feel to a medium weight body, finishing with a notable tweak of coffee roast/burnt leaf savoriness that seemed to be more fruit than oak/toast related. 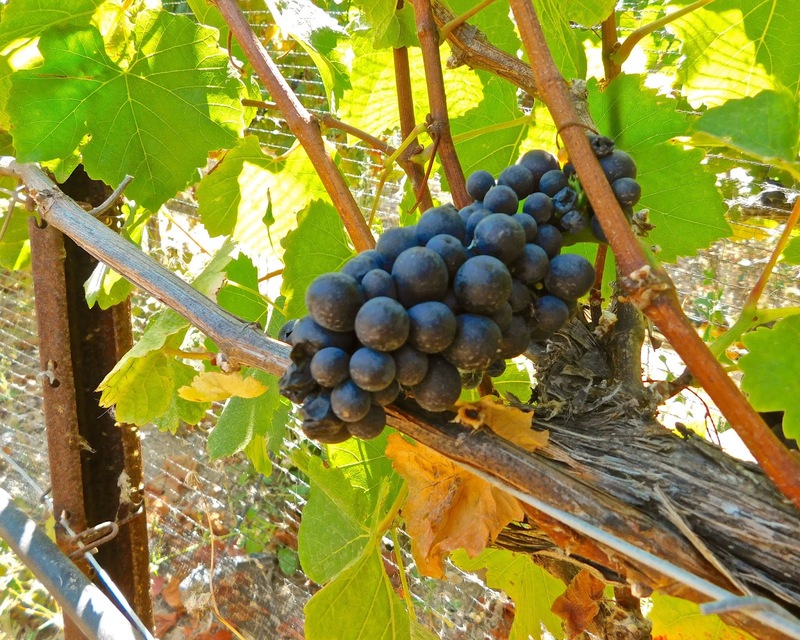 Pinot noir, contends Day, “can be balanced at 12% alcohol or 14% alcohol.” Accordingly, partial whole cluster (30% in the 2016 Momtazi), gentle cap management (“to avoid over-extracting”), and relative cool fermentation temperatures (“to retain aromatics”) are part of her approach, although “no two wines are made identically.” For Day, “native yeast is a number one thing a winemaker can do to make a site-expressive wine,” and cooperage (20% new oak at the most) generally involves 4-10-year-old barrels (“I want the majority of the barrels that I use to be a breathing élevage vessel without inputting wood flavor or tannin”). 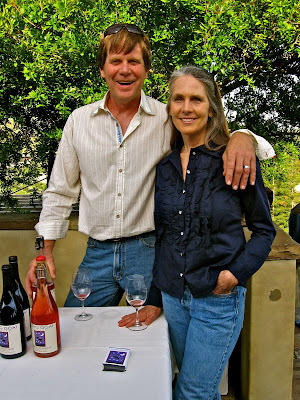 2015 Flying Goat Cellars, Dierberg Vineyard, Santa Maria Valley – From a deceptively brick-red robe, a billowing, luxuriously floral nose encapsulating a spiced strawberry perfume; the high toned qualities following through in a zesty, finely etched palate feel, combining sensations of generosity with lightness and delicacy defying a full scaled (14.8% alcohol) body. 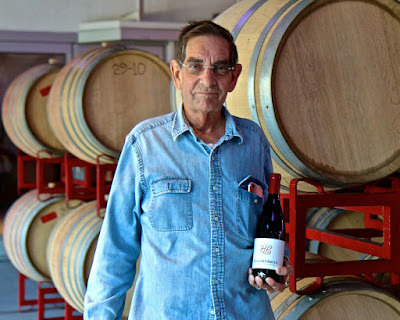 2016 Gary Farrell Winery, Rochioli Vineyard, Russian River Valley – Huge doses of black pepper/peppermint spice – definitely the spiciest Pinot noir bottling experienced over the weekend – inundate a red fruit perfume (raspberry veering towards cherry/strawberry) with both floral (rose petal) and woodsy (forest floor) facets, followed up by just as much layering on the palate – pinpoint-sharp, lively, fine, silky sensations, intense, long, titillating. 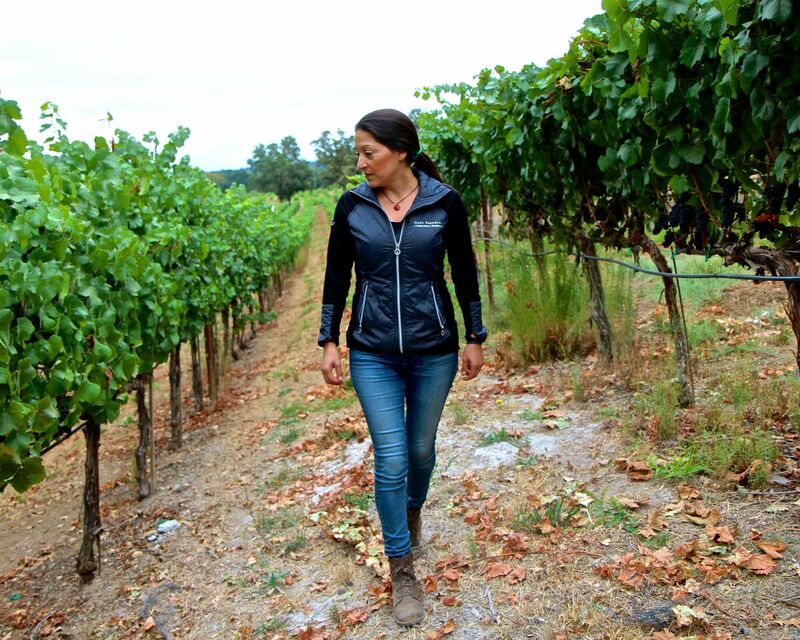 While Rochioli stands as one of the titular growths of Russian River Valley’s long venerated Middle Reach, this “neighborhood,” as Gary Farrell winemaker Theresa Heredia reminds us, “is not all the same... the cobbly, riverbed soil of Rochioli, for instance, gives beautifully pure, red fruit scented Pinot noir, whereas the finer, silty Yolo series soil in Allen Vineyard just across the road gives more savory, earthier, often exotically spiced Pinot noirs” (explaining why the winery also combines the contrasting profiles by producing a Rochioli-Allen Vineyard Pinot noir). But when a pure expression of Rochioli is executed to such perfection – heightened by the laudably disciplined focus and restraint Heredia appears to have brought to this vaunted brand – one cannot help but being wowed by this single vineyard rendering as one of the purest expression of Russian River Valley Pinot noir to be found. 2016 Hilliard Bruce, SKY, Sta. 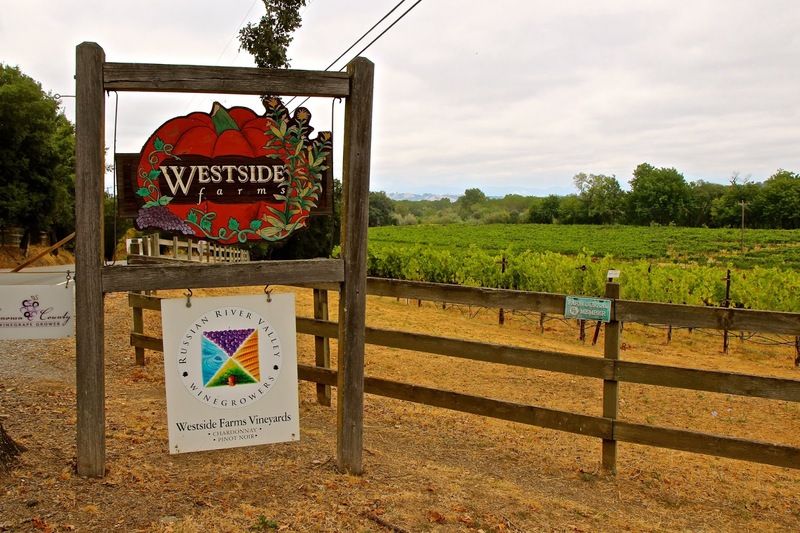 Rita Hills – The week after the 2019 WOPN, owner/grower John Hilliard informed me that he had just put his 21-acre Hilliard Bruce estate up for sale. In his usual (and refreshing) blunt fashion, he said, “Sadly, I never could sell enough wine and I’m just not that good a salesman... wine does not sell itself.” What Mr. Hilliard is, however, is one of the most detailed, quality driven and conscientiously sustainable grower/vintners in the state, which has been borne out in the exquisite Hilliard Bruce grown Pinot noirs produced by both other wineries and under Hilliard’s own label. 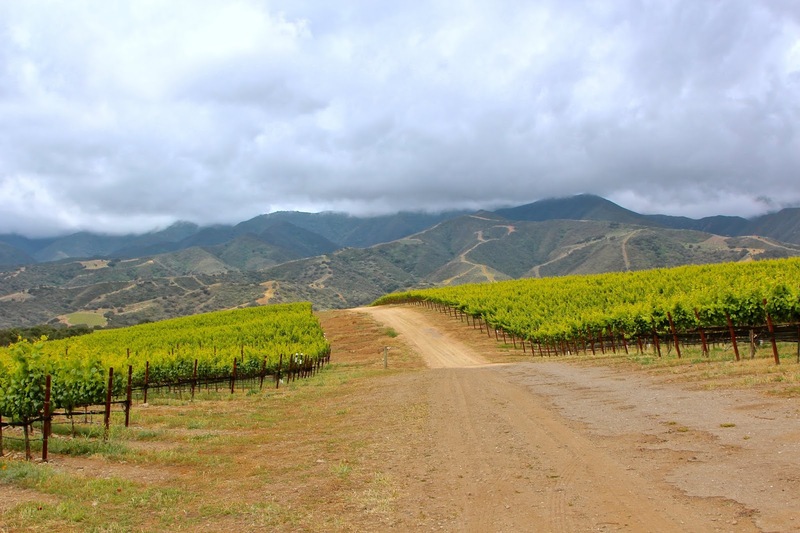 The 2016 SKY – grown on the property’s windiest and rockiest slope and planted exclusively to a Calera selection – is a quintessential Sta. Rita Hills Pinot: soaring, penetrating perfume, intensely rich and floral, manifested in dense, thickly woven (savory acid/tannin/texturing) yet astoundingly fine and delicate sensations, almost floating over the palate with bombs bursting in air. Ethereal. Winemaker Sonja Magdevski – who has 14 vintages of crafting Santa Barbara wine under her belt (and is also the proprietor of her own Casa Dumetz brand) – sheds light on this bottling: “In 2016 Greg Brewer (of Brewer-Clifton) became Wine Director for Hilliard Bruce, which he held until August 2018. 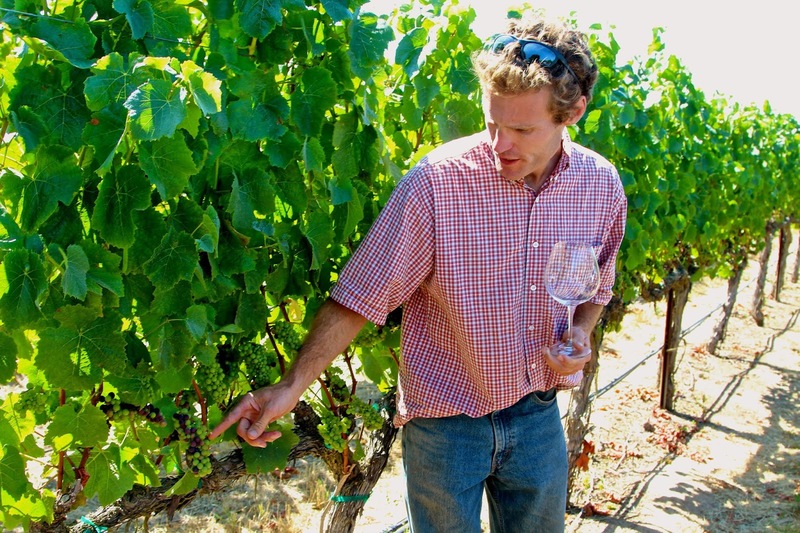 Under his guidance, he sought to highlight the unique aspects of the property by showcasing each individual clone as they corresponded to the natural curvature of the estate. 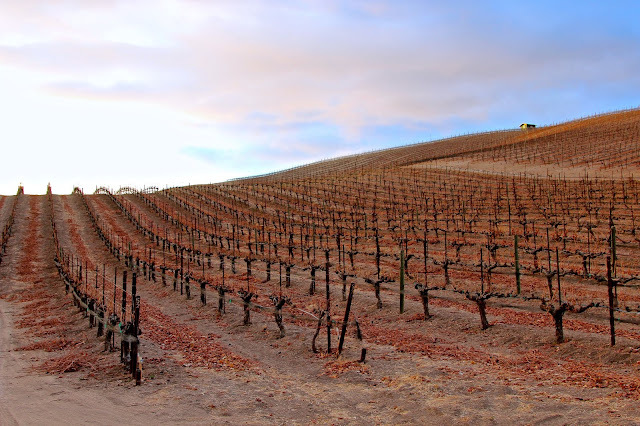 2015 Hyde Vineyards, Carneros-Napa Valley Estate – Somewhere between the 2000s and the 1950s and ‘60s – the start of the groundbreaking work done by Louis M. Martini, Beaulieu, Robert Mondavi, Winery Lake and others – LosCarneros somehow lost its luster in the world of Pinot noir (or as Saintsbury used to put it, “Beaune in the U.S.A.”). The recent extraordinary estate bottlings by Larry Hyde and his son Chris are bound to restore some order. The 2015 screams “Carneros” with its pure, ripe, aromatic black cherry concentration, but then it takes things further by lavishing layer upon layer of plush, curvy, velvet textures punctuated by bright acidity. Non-fruit delineations may be negligible, but who needs that when a wine is so damned, well, ravishing? Nonetheless, Chris Hyde finds a strong “sense of place” in the family’s eponymous label. 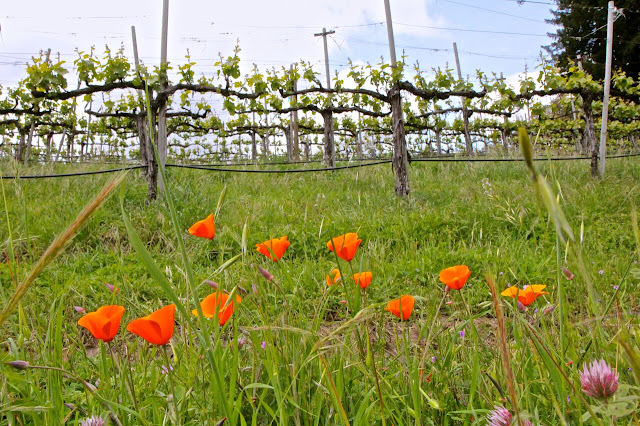 “I think its our winds, and earthiness or minerality that stand out in our Pinot noir,” reflecting the appellation’s shallow clay soils and fog chilled mornings and nights, largely influenced by the Petaluma Gap. 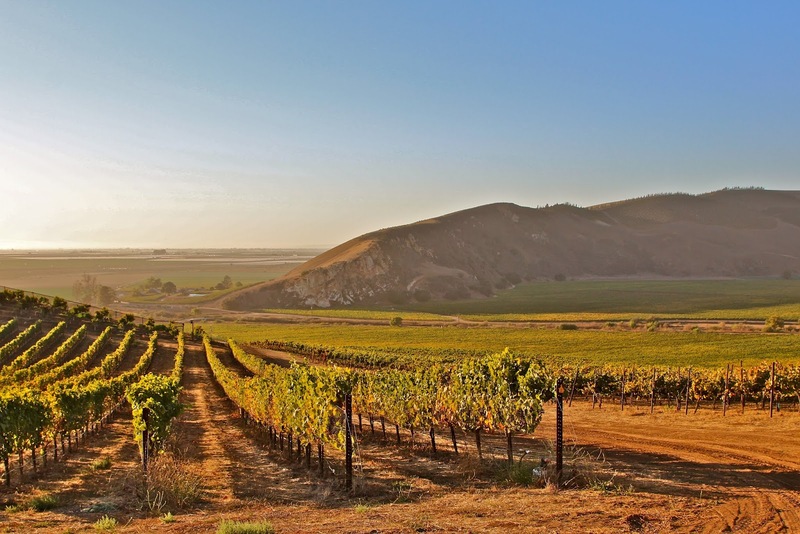 Whatever the case, sour black cherry has always been associated with Los Carneros grown Pinot noir profile, and the 2015 Hyde has that in spades. 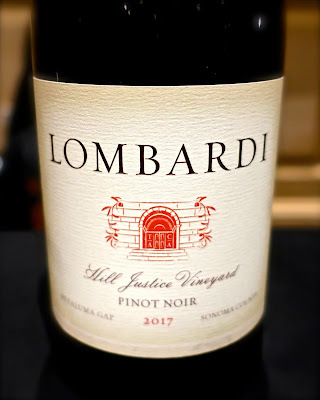 2017 Lombardi Wines, Hill Justice, Petaluma Gap – Gobs of strawberry veering towards black fruit, lush and concentrated, fill out the nose and a concentrated presence on the palate, strengthened by some young, muscular tannin, fashioning a compact, dense, meaty yet seamless, moderately weighted feel. 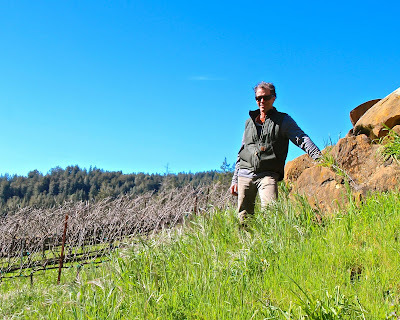 Commenting on this, his first single vineyard-designate wine (Lombardi’s Sonoma Coast bottling is sourced from an all-star selection of sites, including Griffin’s Lair, Sonoma Stage and Spring Hill), winemaker/owner Tony Lombardi tells us: “The fruit off Hill Justice is a product of more extreme conditions – a steep mountain slope off Morelli Lane... rocky, red soil of higher clay content, on the west side of Sonoma Mountain at nearly 1,100-ft. The 9-acre site is planted to Swan and Pommard selections, which thrive in this extreme environment. “Bunches are smaller, almost like hand grenades, and skins are a bit thicker than my other sites. 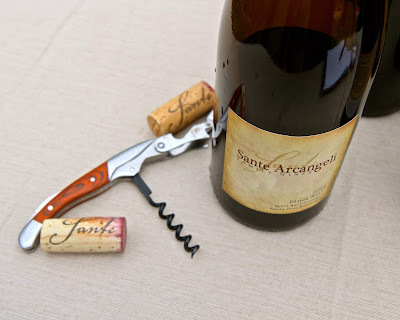 I think this gives a finer tannin structure to the wine, along with deeper color and darker fruit characteristics.” While young and boisterous, adds Lombardi, “the alcohol (14.5%) is in balance with the fruit intensity, healthy acidity (3.54 pH/6.34 TA) and tannin... showing some nice, silky texture and expansive mouth-feel.” Can’t argue with that. 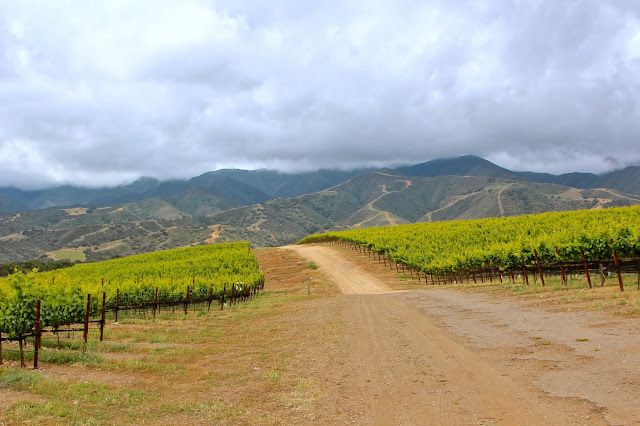 2016 Lucia Vineyards, Garys’ Vineyard, Santa Lucia Highlands – True confession: It took me years to grasp, let alone appreciate, the extravagant, often “big” qualities of Santa Lucia Highlands Pinots. Why? 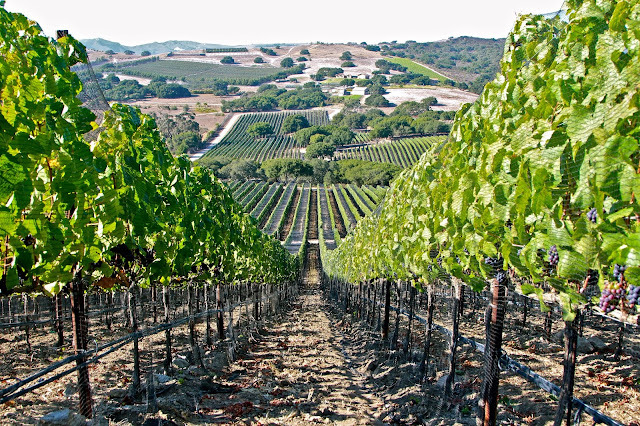 #1, fuller bodied Pinot noirs are never my first choice; and #2, I hadn’t been to Santa Lucia Highlands. But when I finally did, and felt the combination of chill air, bright sun, almost blinding winds, and smells of kicked up dusty sand and pungent pervasiveness of wild chapparal pushing up into the nostrils, I finally understood, particularly in respect to the thickened skins and high acidity of grapes ripening under meager circumstances. This is a place where harvests are called on acids dropping to palatable levels rather than sugars reaching a certain point – hence, the “bigger” styles, which come naturally to the place. At 14.2% alcohol, this iteration of Garys’ is actually extremely restrained for the appellation. What’s amazing is its decadent intensity – if this was a 100-point score magazine, I’d probably use words like “hedonistic” and “opulent.” But it’s just me, and so I scribbled: lush, vibrant strawberry purée, and packaging in fresh, lively, svelte and electrifying medium weight body (and that’s as “hedonistic’ as my vocabulary goes). There is something of a singularity to this fruit expression, but this is something to be expected from the 50-acre Garys’ block which, unlike the Pisoni and Franscioni families’ surrounding vineyards, is planted to just one selection (the famously “secret” Pisoni clone), as opposed to the usual half-dozen or more hedged by most vineyards on this bench. 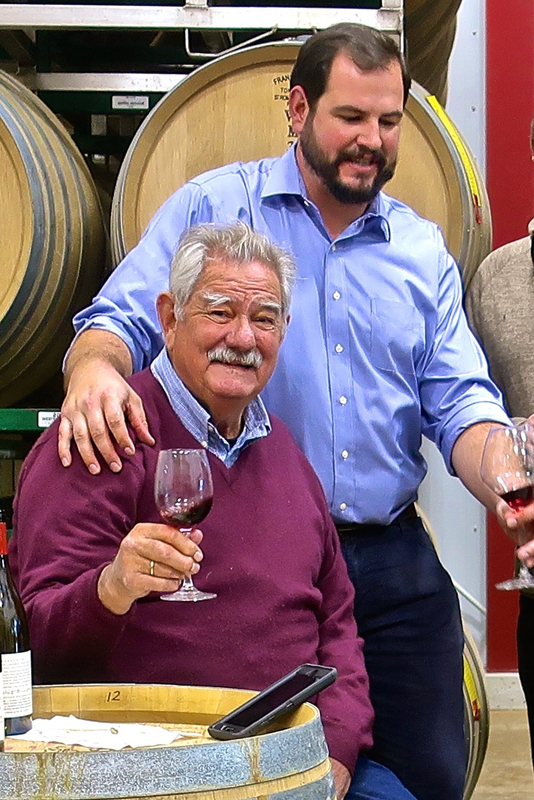 Bottom line: a Garys’ should taste like Garys’, not so much like the varietal or even other Pinot noirs grown in Santa Lucia Highlands. Par for the course for Pisoni, fermentations are native, and cooperage has been whittled down to coopers and barrels lending “subtle wood that doesn’t overwhelm, because I do not want it to detract from the site expression.” While the family has adjusted to recent vintage challenges through vineyard practices (leafing, canopy management, crop level, irrigation, etc.) and a goal of achieving “ripeness at moderate alcohols,” Pisoni warns that “trying to target a finished alcohol without knowing how the farming is done can lead to a disaster because a given sugar level can deliver phenolics/tannins that are way overripe or way underripe, if not farmed correctly.” As it were, the Pisonis are hitting it on the head. 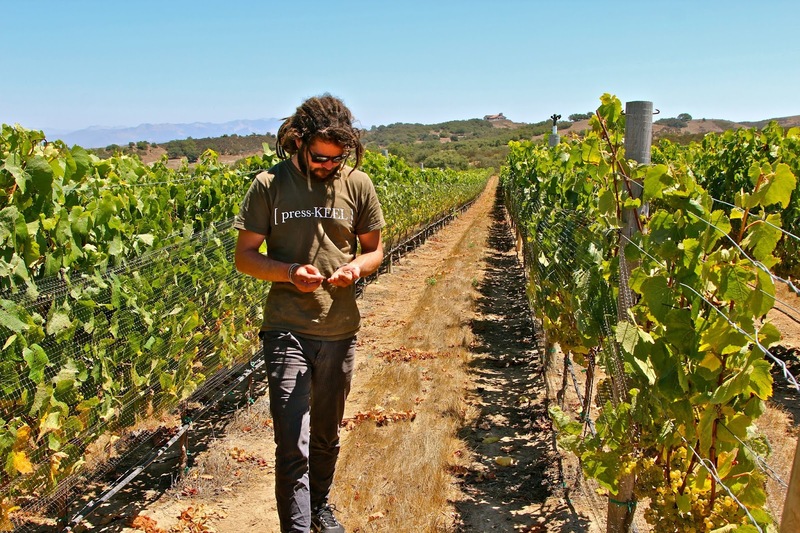 Will Henry, who crafts LumenWines with old hand Lane Tanner, describes the quintessential Santa Maria Valley qualities expressed by Presqu’ile as “a distinct fresh-herb quality as well as a spiciness that is unlike any other Pinot region. I often pick up tarragon and mountain sage, as well as white pepper, cardamom, and other exotic spices.” Lumen’s first shot at Presqu’ile fruit was in 2015, which “was so crazy good that it shocked us... the fruit at Presqu’ile is certainly unique... berry size is very small, and the yields are typically quite low – both of which lead to a natural concentration of flavor and complexity in the finished wine.” Their 2016 was slower to mature, thus picked about 1.0° Brix higher than normal for Henry and Tanner (at 24.2°), but the result was still the feathery, feminine, zesty acid style of Pinot typical of the site. Reflecting on the evolution of American Pinot noirs, Henry shares interesting food for thought: “The challenge two decades back in France, and even in Santa Barbara, was getting fruit ripe enough before the vines started to go dormant for the winter. Wine writers tended to rate the warmest vintages the highest, because vineyard practices were still rather primitive, and the world was also a bit cooler – and the wines from warmer vintages were preferred by most palates. 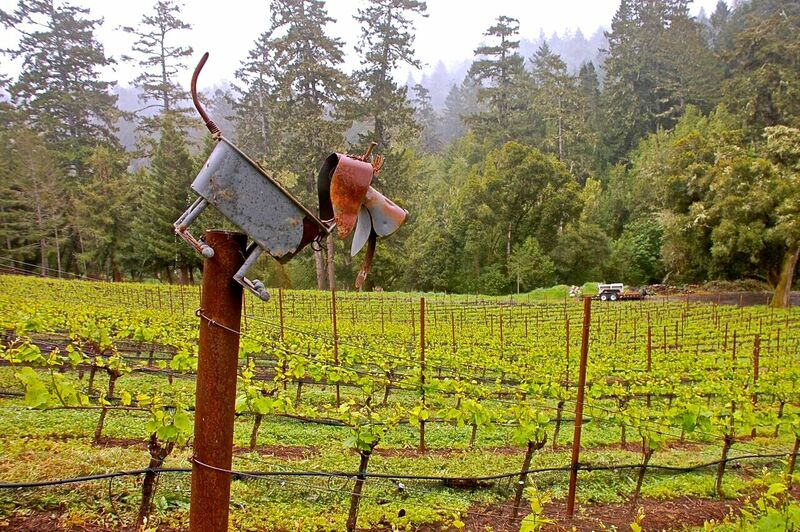 Vineyard practices have come a long way, and the world is warmer, which has allowed winemakers to ripen fruit to levels never before possible, even in places like Burgundy or Germany. 2015 Mindego Ridge Vineyard, Santa Cruz Mountains – This vineyard has been qualifying for my proverbial pantheon of top American crus by dint of its pervasive transparency: super-bright, high toned raspberry fragrance permeated with airy, woodsy notes; both savory and brightly fruit in a long, lanky, lingering and finesseful palate. Thomas Fogarty winemaker Nathan Kandler – who has been crafting a Mindego Ridge cuvée since 2013, and is able to compare it with the winery’s seven other Santa Cruz Mountains vineyard-designate bottlings (Failla’s Ehren Jordan crafts the Mindego Ridge estate bottlings for owner/growers David and Stacey Gollnick) – contrasts the densely forested, 950-ft. elevation Mindego Ridge site as a “perfectly positioned south-facing hillside that has warm days and pretty chilly nights... It is the highest acid Pinot noir I have worked with, which allows, or rather forces, you to push the ripeness out farther than other sites in Santa Cruz Mountains. 2016 Peay Vineyards, Ama Estate, Sonoma Coast – Peay was one of the In Pursuit of Balance movement’s original poster childs, which stands to reason – you couldn’t make a “big” wine from Peay’s estate at the extreme, and most frigid, end of WestSonoma Coast near Annapolis if you tried. 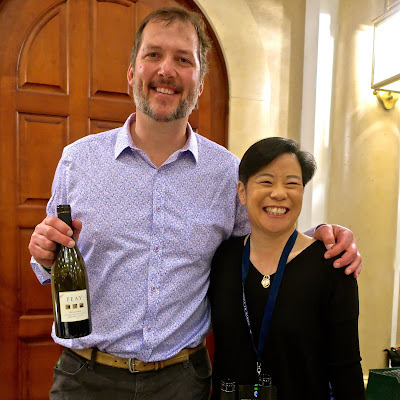 I found all of their bottlings (a good half-dozen) shown at 2019 WOPN to be exhilarating, but their 2016 Ama seemed to rise above the rest, figuratively and literally: at least in terms of purity of fruit – floral, dark cherry, woodland/forest floor notes – billowing from the glass, and then charging through the palate’s light, tingly, extended, live-wire feel before ending with savory/toothsome, cherry skin, leafy/earth and spiced cobbler sensations. 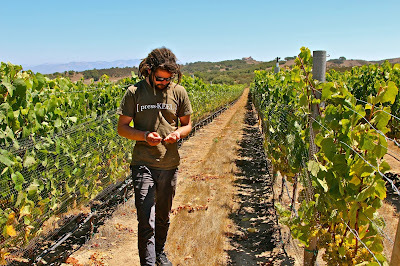 2016 Presqu’ile Winery, Bien Nacido Vineyard, Santa Maria Valley – The winery’s own, estate grown 2016 Presq’uile Vineyard came across as typically ultra-fine, almost ethereal, yet notably forest-floorish in its flowery perfume; but I couldn’t help being even more compelled by the lavish, multi-faceted yet even keeled qualities of their 2016 Bien Nacido bottling. It seemed to epitomize what so many other vintners love about this venerated vineyard – the layering of both red and black fruit, the earthy, almost Mexican spice notes, the pervasive, love-it-or-leave-it herbiness, and the faint sensations of meat and loam in the mouth, all arranged within the context of Presqu’ile Winery’s own customary feathery touch. 2015 Red Car Wine Co., Fort Ross-Seaview Estate – This wine delivers almost everything you could hope from a vineyard located at the extreme edge of West Sonoma Coast – average elevation 1,100-ft., less than 4 miles from the Pacific – which is a seemingly effortless sense of finesse, or what Aussies describe as “integrated” (I’ve never figured out why they use that word more often than anyone). 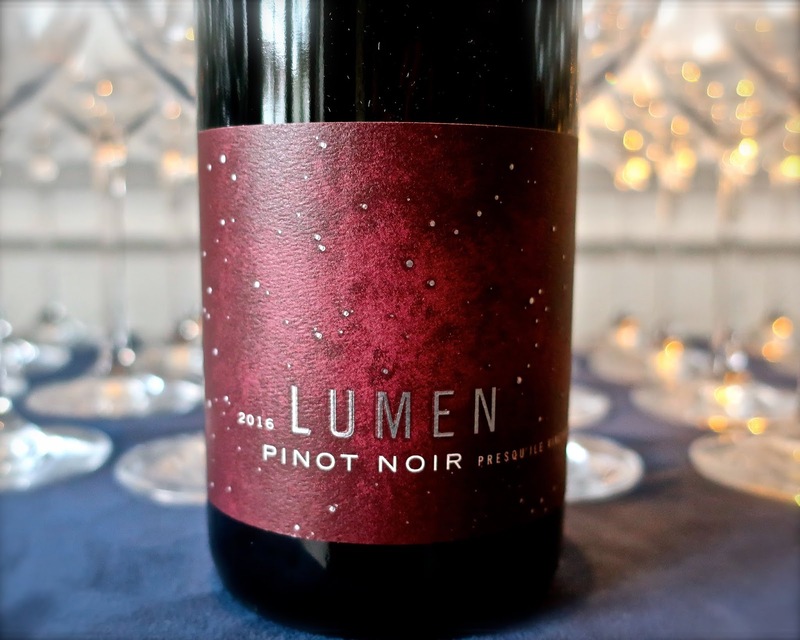 The red nose – red cherry, red licorice, red briary berries – is intense, laser sharp, and tinged with sweet spice. On the palate, these sensations are revved up by energetic acidity, watering and titillating the palate, in a sleekly textured body (just 13.1% alcohol) that feels airy light, nearly ethereal, and not in any way weak, bony or undernourished. 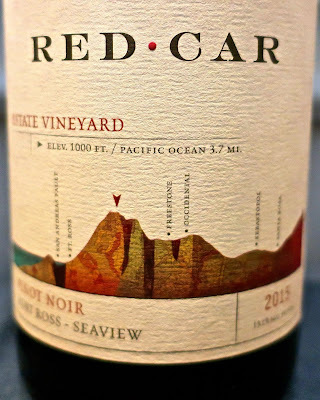 Red Car winemaker Tanner Scheer sheds further light by explaining: “2016 is our sixth vintage from this site, and is laden with characteristics we’ve come to know as hallmarks of the region... perennially aromatic, energetic, even electric with bright, fresh, tart wild berry fruit and integrated tannins.” Mind you, I did not share my notes (“energetic,” “integrated,” “wild" or "briary” berry) with Mr. Scheer. Let’s just say the words are an accurate coincidence. The extremely dry 2015 vintage, adds Scheer, “was a dismal year for farmers, but absolutely stellar for winemakers... offering us a level of complexity and depth we had not seen from our vineyard... a bit darker in color, and more layered, yet entirely indicative of the region and site.” Accordingly, winemaking at Red Car is “non-invasive... wines are truly made in the vineyard... we don’t make ‘adjustments’ (pH, TA, alcohol, etc. 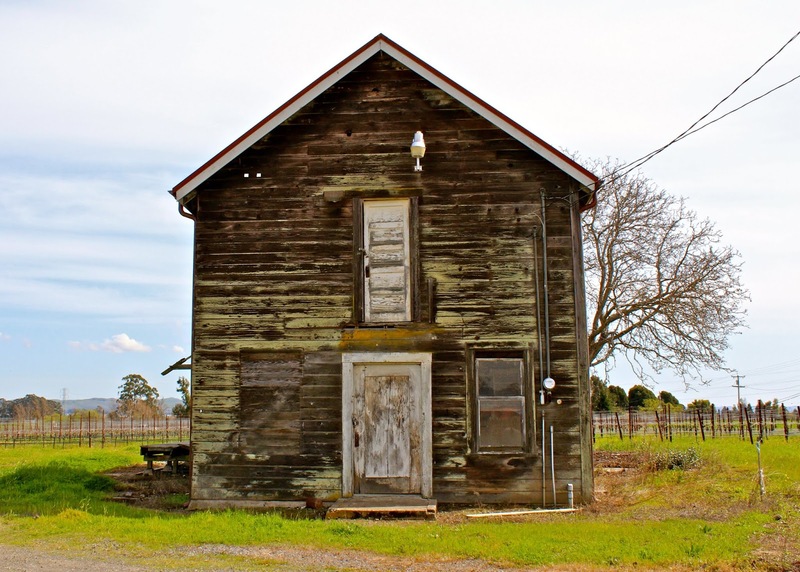 ),” and practices like whole cluster and oak are applied sparingly as “tools," not rules. 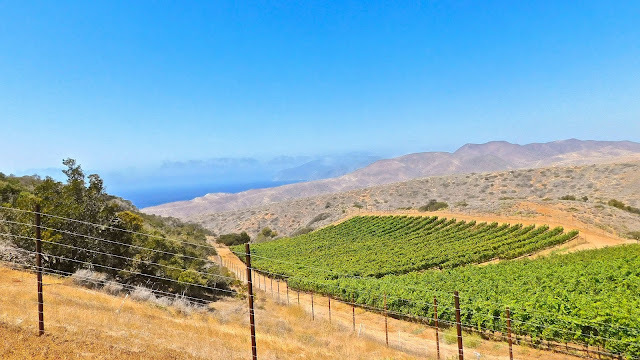 2016 Rusack Vineyards, Santa Catalina Island Vineyard, California - It was probably questionable to plant (in 2007) Pinot noir, Chardonnay and Zinfandel on the 74-square-mile Santa Catalina Island 26 miles off the Southern California coast, replete with salt crusted sand and schist, daily gale force winds and a stingy Region I/II climate. Nonethess, Rusack’s irresistibly pretty 2016 is indicative of a positive maturation. 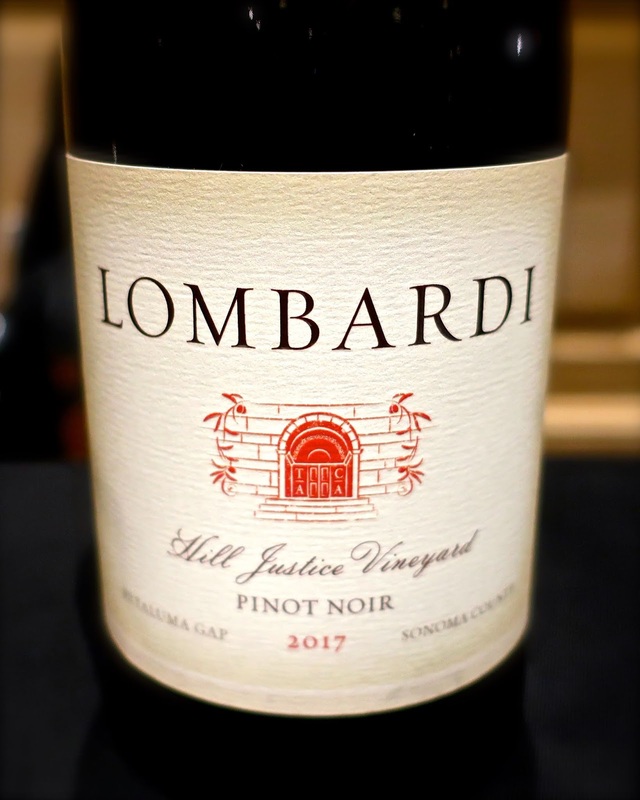 The nose is floral and laser-like in its red fruit (cherry/pomegranate) profile, and the palate is finished with the winery’s customary sleek, linear, citrus skin touch. 2016 Sangiacomo Family Vineyards, Vi Maria, Sonoma Coast – An inaugural release by the Sangiacomo Family, who have long farmed over 1,600 acres in the Petaluma Gap and Sonoma Coast AVAs, and crafted by James MacPhail (formerly of MacPhail Wines, and now winemaker/co-owner of Tongue Dancer Wines). While making a “power” statement in terms of its pungent, violet tinged black cherry aroma, with suggestions of rose petal and sweet kitchen spice, the pervasive character of this wine is its absolute seamlessness; the zippy flavors coming at you in silken, sumptuous layers. 2017 Sante Arcangeli Family Wines, Split Rail Vineyard, Santa Cruz Mountains – There is a sun-splashed brightness to a lavish red berry perfume, tinged by woodsy/evergreen notes and fleshed out in a grippy, zesty acid, medium-full body, clinging to the palate like a nimble, rippled rock climber. Although Split Rail Vineyard is another Corralitos/Pleasant Valley site, it sits further up a mountain slope, looking down at Monterey Bay, a good thousand feet (1,500 to 1,700-ft. elevation) higher than Lester, Alfaro Family, Christie, Savaria and other well known vineyards in the south end of Santa Cruz Mountains. 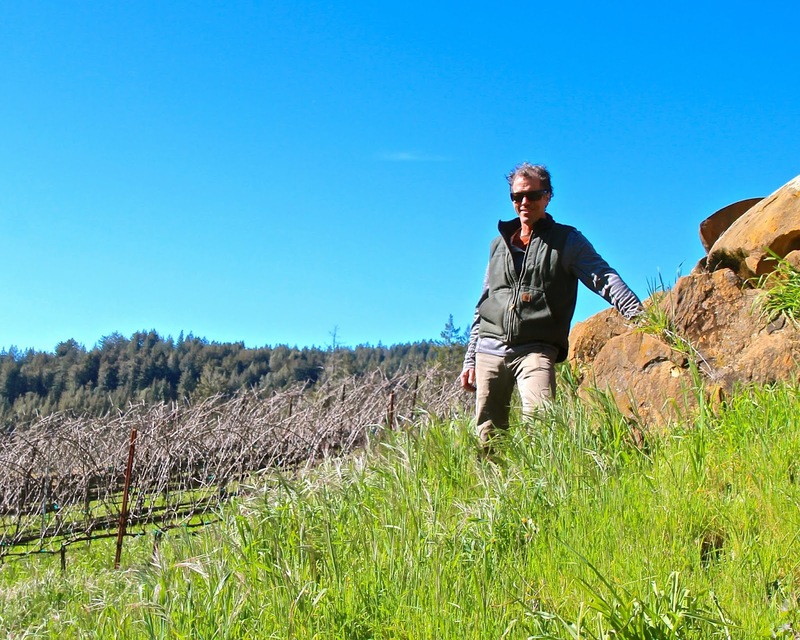 The vineyard’s sandstone and clay soils are vigorous enough to support mammoth sized redwoods and Madrones surrounding the vineyard, and was originally planted for David Bruce to a “David Bruce Selection” (mix of Mt. Eden, Martini, Wädenswil and Pommard). 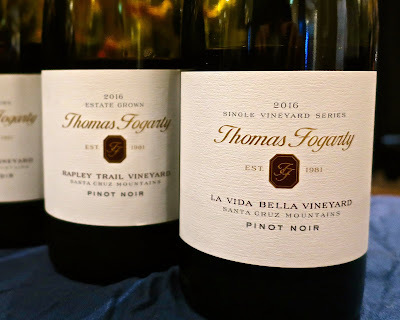 2016 Thomas Fogarty Winery, La Vida Bella Vineyard, Santa Cruz Mountains – From another low-lying (about 450-ft. elevation) vineyard in the appellation’s Corralitos/Pleasant Valley area, a Pinot marked by an airy, high toned nose punctuated by a cranberry/strawberry/tart bramble perfume, a whiff of crushed green leaves and flower petals mixed with brine – these distinctive sensations prickling the palate in a lean, zesty yet long and silky textured medium body. “In the winery we mostly try and do as little as possible since wines from Corralitos are pretty transparent, and show any winemaker monkey business pretty easily. Stems can be green and weedy, but as the health of the vineyard has improved we have gone up to about 35% whole cluster on average. Our ferments are all native and we use about 20-25% new oak. 2014 Thomas George Estates, Baker Ridge, Russian River Valley – The hearts of Pinot noir aficionados undoubtedly skip a beat as they drive down Russian River Valley’s Westside Rd. and see the iconic names (J. Rochioli, Williams Selyem, Gary Farrell, Bacigalupi, etc.) associated with the appellation’s Middle Reach – the warmest of Russian River Valley’s five “neighborhoods,” but also the source of the lush, round, full flavored style that originally catapulted the region’s reputation for the varietal. A blessing as much a curse – at least for regions like Willamette Valley and Santa Barbara, which took another decade or two to polish up their own positive perceptions, at least among consumers (as well as trade and media) who, for the longest time, were more accustomed to the expansive, generous styles of this Middle Reach. In 2008 Tom Baker acquired the original, venerated Davis Bynum Vineyard in the middle of the neighborhood and immediately commenced to replanting; and in 2014 the estate (its name changed to Baker Ridge) seems to be coming into its own: effusive in floral/rose petal and the cherry/red fruit qualities associated with the neighborhood, mingling with sweet pine/foresty notes; the lavish fruit character firmly grounded in a firm, notably zesty, medium-full and layered palate-feel. 2016 Wrath Wines, San Saba Vineyard, Monterey County – San Saba is Wrath’s estate vineyard located inches outside the eastern edge of the lower bench of Santa Lucia Highlands. 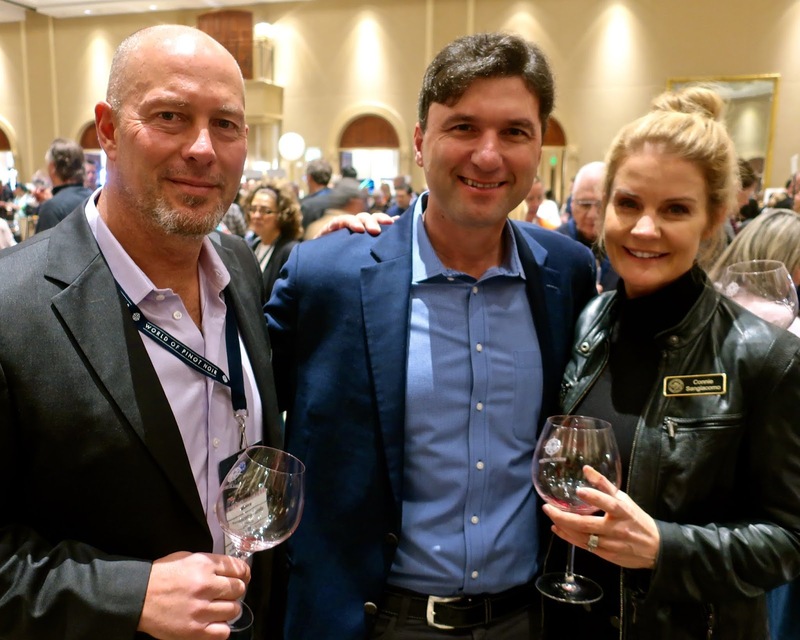 The 2016 reflects the growth’s penchant for bringing out primal qualities of the grape – pungent with spice and red licorice fruit, notably meaty and bristling with the savory and spiced fruit, yet outwardly textured with ultra-fine, lacy layering. On the question of “balance,” Rodems speaks frankly: “We all talk about balance – winemakers, consumers, sommeliers – yet I taste so many unbalanced wines, it is surprising to me. 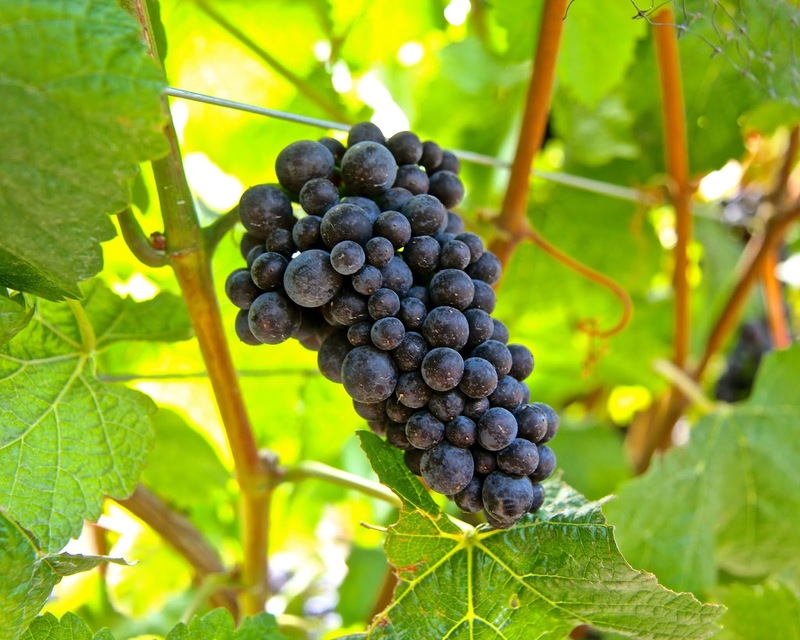 Pinot noirs are often over-oaked, or too much residual sugar, or too acidic, or overripe. I want a wine that tastes like fresh fruit with the additional complexities that the stem and oak can support and work synergistically with the fruit.